Watch this space for daily updates during the month of June on my watch making progress. All the research is complete as I turn this very tired 20+ year old WB Fossil Tweety watch into something new. Complete new Stainless Steel Body (case), New waterproof design bolt on back (with 8 Stainless C’Sunk screws) (With hopefully a reproduction engraved back to nearly match the original). Mineral Glass Crystal will be replaced with a new Saphire Crystal, New Luminescent Hands, new Crown and Crown Tube. Photo 2-3: Completed Fusion Model: Inspriation for the new design came from a 1957 Tudor Advisor watch (love it’s shape. ), and the back cover’s design inspriation was taken from a Baume et Mercier Capeland. FYI Search YouTube for Baume et Mercier and Cournoyer and see me partially assemble a watch in Switzerland. Photo 4: The hole (Slip fit for a 1/4" dowel pin (0.2505" dia.) in the top right will be X0Y0 throughout the machining process. This X0Y0 hole will be used during the double sided machining to maintain perfect alignment. I will also use the new Touch Probe to develop my X0Y0, More on this next week. Nomad o Shapeoko for engraving Stainless Steel? I’ll be keeping up with this. What kind of rpm range will you be in for this? Awesome project Rich, I will be “watching” closely, haha!! On the subject of watches I have a question or two, but I’ll send via PM to not hijack this thread. I actually never knew the distinction in the types of SS, so that is very good to know, thanks! I look forward to watching this thread. Is there a reason you’re using the Shapeoko 3 and not the Nomad? I thought you have a Nomad, too? There’ve been a couple of folks who have installed more powerful spindles, but haven’t had marked improvements in performance (or if there were, they haven’t shared that or I missed it or misunderstood). ( Nomad spindle motor....upgrade? and Nomad 500 Watt Spindle Upgrade for the curious). One thing which I’ve been wondering is if a different pulley arrangement might be advantageous — but I really suspect that having a more powerful spindle would then result in the need for a more rigid structure, and before you know it, you’d end up with a machine which would need to be delivered on a pallet, and would require multiple pieces and assembly onto a special-purpose table — ref. “The Wonderful One-Hoss Shay” and all that. I still haven’t gotten past the EMI issues on my Nomad spindle upgrade. I’ll probably have to go with a brushless motor to get it to work with the C3D control board. Even with shielding a brushed motor knocks out communication instantly. Fun project, Rich! Looking forward to your follow-ups. Just looking at the design of the nomad vs SO3 I would think the Nomad is considerably more rigid than the SO3. I might be wrong but I would think the Nomad could handle a spindle several times more powerful than the one currently installed. I am hoping The C3D team is considering that as a future road map item for the Nomad. Setting up (using the Touch Probe to establish my X0, Y0 and Z0. Machining the two critical back bores. Total machining time you have into it at this point? I wouldn’t be able to resist trying to tap those holes before starting the front. Curious to hear how that goes. Also, how does that flood coolant work? Did you screw through the bottom of the container or is that somehow added around the watch? The Flood Coolant works awesome! The end mill will throw a small amount out of the container, but it’s minimal. I drilled two 0.250 dia holes to suit my metal table (50 mm spacing) and just bolted the thing together. Not a drop leaks out of it via the bottom. I completely understand, but I plan on using my Hand Taper but I need to make a very small bushing and will do this while the front is being machined. I plan on using my Hand Taper but I need to make a very small bushing and will do this while the front is being machined. So amazing, I cannot wait to see this. 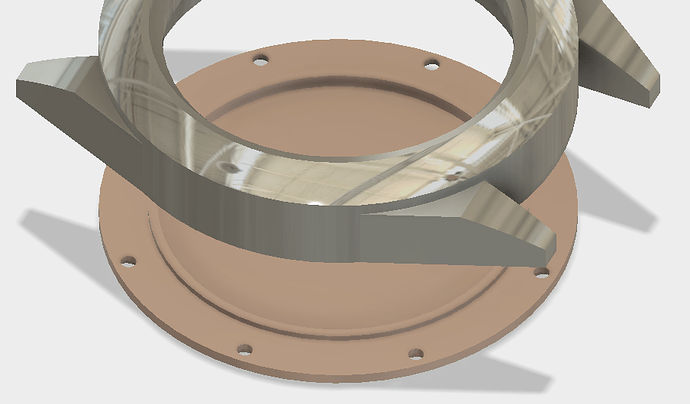 Will there be any need to polish the case when you’re done with machining? 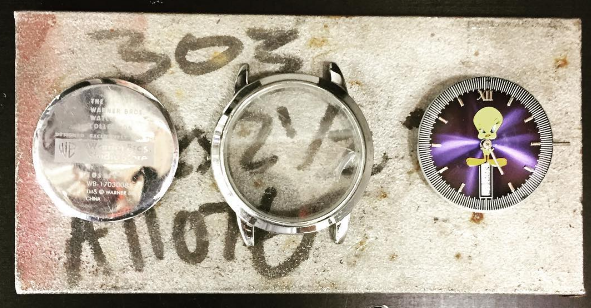 This entire thread has got me to thinking how watches are mass-produced and also how high-end watches are made. I realize they’d be starting with molded parts but you’d think even a Timex would require machining, so how did they do that and still sell a watch for $20? As you may (or may not) know, I spent some time in Switzerland’s watch making region of Basel (it’s not Geneva). High-end watch companies machine their cases and backs out of billet material (just like I am doing), whereas; low end (commodity) watch companies start from a brass nearly complete blank and then plate them in a shiny finish. I also spent time in the Gun making industry (US East Coast) and here is where I learned a lot about the different textures (or finishes) that are applied to a firearm. 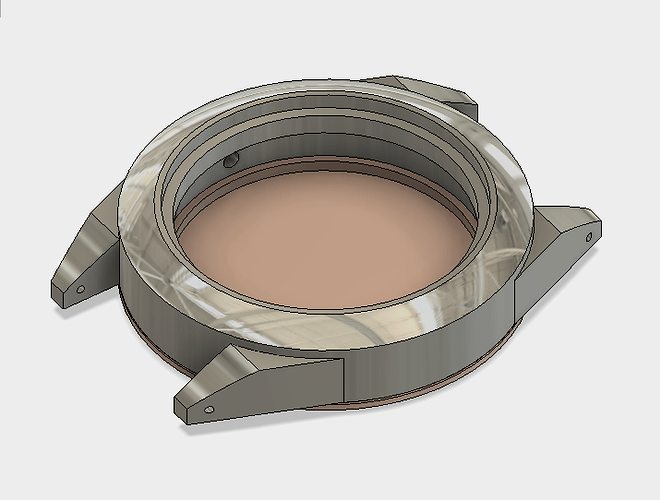 So I am thinking that I want a satin finish on the Watch top face. This will mean sanding, sanding, sanding followed by a Glass Bead sand blast. 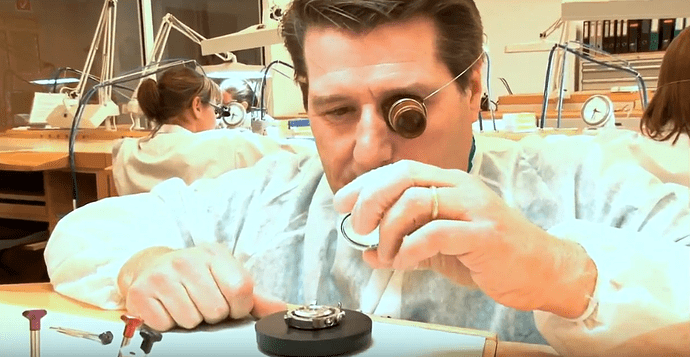 How long does it take them to mill a high end watch case for a premier watch brand? Just for comparison.